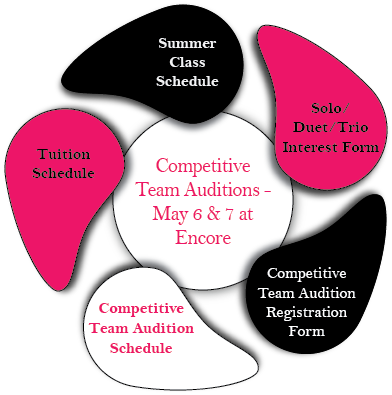 Encore Dance Academy offers a variety of quality dance classes. We offer many different styles to fit your interests. We are dedicated to teaching dance in a positive environment to build character and confidence in each student. Our mission is to help students learn the art of dance and encourage their development both in dance as well as life skills. Dancers will develop more than just technique - learning to be respectful, confident, and how to work as a team. Encore Dance Academy has been awarded the 2012 "Video of the Year" award from Rainbow National Dance Competition. Check out their documentary video on our studio! Copyright © 2019 Encore Dance Academy, LLC. All Rights Reserved.